In summer 1931 a correspondence between Carl Nielsen and the German author Hans Henny Jahnn (1894-1959) started. Jahnn was organ builder and publisher of music in unison. He knew the 29 little preludes and the Commotio op. 58 for organ, Nielsen had sent him. He was willing to publish them for Germany. Because of Nielsen’s death at the beginning of October 1931 this plan failed. Jahnn, as an organ builder one of the masterminds of german organ movement and an expert in organ music of the baroque, refused to accept any other contemporary composers than Strawinsky and Nielsen. Likely because of their close relationship to baroque compositions. 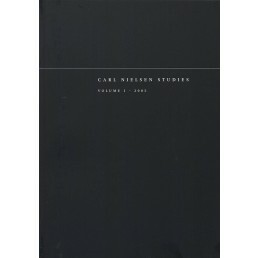 Therefore Nielsen would have been the only contemporary in Jahnns publishing programme – besides masters of the baroque. Jahnn was fascinated by Nielsen’s anti-romantic position, which used to be also an essential part of the organ movement. For that reason it’s natural to compare Nielsens 29 little preludes, published in Copenhagen in 1930, to commensurable works of younger composers in conjunction with the organ movement. Good examples are the Kleine Orgelchoral-Bearbeitungen op. 8/3 (1938) by Hugo Distler (1908-1942) and the Kleine Orgelbuch (1941) by Ernst Pepping (1901-1981). In spite of the fact that their personal style is very different, there are interesting congruities to be found in their works: strong composition of form, transparent and reverts partially to modal elements. These correspondences testify in no case an influence on another. It’s rather an example for a kind of climate that crosses/oversteps borders – this kind of climate that includes as well the organ movement and the composers close to it.